Northern Ireland's reputation for middle and back office activities in financial services comes on foot of recent growth in areas including financial services software development, infrastructure support, fund administration, operations (reconciliation, settlement, clearing), analytics and risk management. Financial services in Northern Ireland employs over 27,000 in more than 1,200 firms, and, in predominantly export oriented financial services businesses, some 380 firms. Some of the companies that have established operations are Citi, CME, Homeloan Management Ltd (HML), The Allstate Corporation, NYSE Technologies, a unit of NYSE Euronext, Capita, PriceWaterhouseCoopers, and, in funds administration, Heritage Administration Services, and Augentius. Other projects, such as the 1,000 jobs BPO project by Stream Global Services, announced in October 2013, points to the potential of financial services outsourcing positions which are part of the company's overall portfolio. Northern Ireland’s first mover advantage in legal process outsourcing (LPO) projects was underscored in 2011 with the announcement that Allen & Overy LLP - one of the world’s largest international law firms - located a new support and legal services centre in Belfast. The announcement followed Herbert Smith's decision to set up an outsourcing operation in NI, the first top UK law firm to do so, and this was followed by US-headquartered Axiom Law in 2012. These arrivals follow in the footsteps of Citigroup's (Citi) Belfast compliance and transactions centre of excellence employing over 1,000 staff in the Titanic Quarter, with plans to expand employment to 2,100 following the announcement of 600 jobs in November 2014. 26th September 2016: Northern Ireland's First Minister, the Rt. Hon. Arlene Foster, and deputy First Minister, Martin McGuinness announced an expansion in Belfast by accountancy and business advisory firm BDO creating up to 43 new jobs over the next three years. The new roles will provide professional services to a range of blue chip and FTSE 500 clients within the BDO International network. There are a number of key considerations that investors need to take into account to benefit from the robust asset trading environment that Ireland is currently experiencing, writes Paul Fryers of HML. Private equity firms are fast entering the traditional lender market; the Investec sale of Start to Lone Star and the sale of Springboard to Mars Capital are two significant transactions that have taken place recently, he writes. 30 per cent of asset trading activity in Europe has taken place in Ireland since the economic collapse, he says. Global law firm Baker & McKenzie is to set up a new Global Services Centre in Belfast, creating 256 jobs, consolidating Northern Ireland's position as the leading global centre for Legal Process Outsourcing (LPO) operations. Chancellor George Osborne in his Autumn Statement confirmed the intention of the UK Government to devolve the option to set corporation tax rate to the Northern Ireland Executive. The move signals an option for the NI Government to attract FDI and corporate investment by matching the 12.5 p.c. tax rate in the Republic of Ireland. Citi is to expand its Titanic Quarter, Belfast-based operations with an investment that will see Citi add 600 new jobs to its current 1500 staff in Northern Ireland. 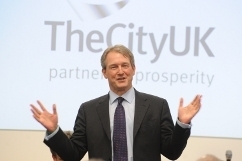 Capita Asset Services has appointed Gerry McGinn to its Board as a Non-Executive Director. McGinn brings extensive experience to the role, having held a number of senior executive positions in financial services and the Northern Ireland Civil Service. Newry, Northern Ireland, Oct 16: First Derivatives (AIM: FDP.L) (ESM: FDP.I), the leading provider of software and consulting services to the financial services industry, announced it has reached agreement with the founders of Kx Systems ("Kx") to acquire a further 46.47% stake in Kx for a total consideration of �£36.0m. As a result First Derivatives' holding in Kx will increase from its current 20.1% to 65.2% on a fully diluted basis. This increase in holding is expected to be earnings enhancing in the current financial year for the Company. 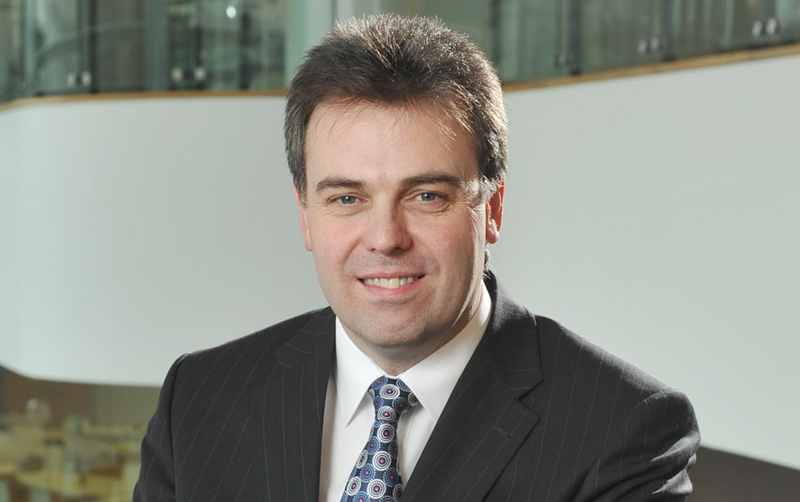 FinTrU Limited, the London-based business process outsourcing business set up by former Morgan Stanley executive Darragh McCarthy in 2013, has chosen Belfast for its nearshore operations. First Derivatives Group, the global provider of trading and risk management software systems and consulting services for multinational financial institutions and technology vendors is to create 484 high quality jobs in its headquarters in Newry. Spence & Partners will create 107 new jobs over five years as part of an �£8 million investment in the local economy. Spence & Partners is part of Ellcon Investments, an indigenous financial services group based in Belfast with offices in London, Glasgow and Bristol. Capita Managed IT Solutions has announced that it is to create 400 jobs in a �£29.9m investment over the next three years. Capita Managed IT Solutions was formed in 2013 when Capita plc acquired Northgate Managed Services Ltd. The company provides cloud, infrastructure and ICT managed services for public, private and third sector organisations across the UK. October 12th 2013: A workshop focusing on business, professional and financial services sectors was part of the Northern Ireland Investment Conference, hosted by the NI Executive,and organised by Invest NI. Jeremy Fitch, Invest NI’s Executive Director of Business and Sector Development, said: “Belfast is the number one destination globally for financial technology investment and our business services sectors, particularly legal services, have experienced significant development in recent years. October 7th: Ahead of the 2013 Northern Ireland investment conference with the Prime Minister David Cameron, Belfast Harbour announced on October 7th that planning approval was granted for an 83,000 sq ft Grade A office development, the first phase of a 20 acre GBP 250 million office scheme to be known as City Quays. 15th May: US Fortune 100 insurer-owned Allstate Northern Ireland is to create up to 650 high quality jobs in Belfast, Londonderry and Strabane. Allstate Northern Ireland was established in Belfast in 1998 and provides software development services and high end business solutions in support of its US parent's operations. The jobs are in software development, software testing, infrastructure services and analytics. Welcome address by Arlene Foster, Minister for Enterprise, Trade & Investment, Northern Ireland, on the occasion of the publication of the First Directory of international financial and professional services firms in Northern Ireland in the 2013 Finance Dublin Yearbook, published in April 2013. David Gavaghan describes some of the cutting edge innovations in the Titanic Quarter in Belfast including its cutting edge communications infrastructure which has Europe’s fastest direct fiber optic link to North America. Northern Ireland is poised to grow as a centre for fund administration and legal services in support of established hubs in Ireland and the UK, writes Alastair Hamilton. Fintel Publications is pleased to announce the publication of the first edition of a new Directory listing Northern Ireland's leading international financial services companies, highlighting Northern Ireland as a vibrant and thriving location for the establishment of international financial services enterprises. January 24th: Allen & Overy one of the pioneers of legal process outsourcing in Northern Ireland, has agreed a further expansion of its 300 plus jobs centre in Belfast, established in 2011. December 6th: Financial services IT firm Equiniti ICS is expanding in the Titanic Quarter in Belfast with the creation of 45 new jobs. Equiniti ICS specialises in payroll services and currently employs 270 staff in the Titanic Quarter of Belfast and is aiming for a one third increase in revenues over the next 2 years. UK corporation tax planning - The new public enemy number one? December 6th: KPMG's Eamonn Donaghy looks at the UK Government’s efforts to introduce a more attractive corporate tax regime at a time when public opinion against corporate tax planning measures employed by some companies operating in the UK is at an all-time high. January 17th: Axiom, a 1,000 person new model firm that helps large multi-national firms manage legal work more effectively announced the expansion of its Belfast Centre of Excellence, just a year after the centre formally opened in February of 2012. The Centre houses client-dedicated teams serving global companies. "In what was, and continues to be, a first for the region, the centre’s staff is entirely focused on acting as primary, client-facing, fee-earning teams for Axiom clients", the firm said. November 27th: VistaJet has made a firm order for 56 private business jets from Bombardier, in a deal valued at $3.1 billion. The private charter company has also taken out options for a further 86 business jets which, if exercised, will value the deal at current list prices at $7.8 billion, making it the largest business aircraft sale in Bombardier's history. Bombardier, which employs 5,500 people in its Belfast operations, will begin delivery of the business jets in 2014. 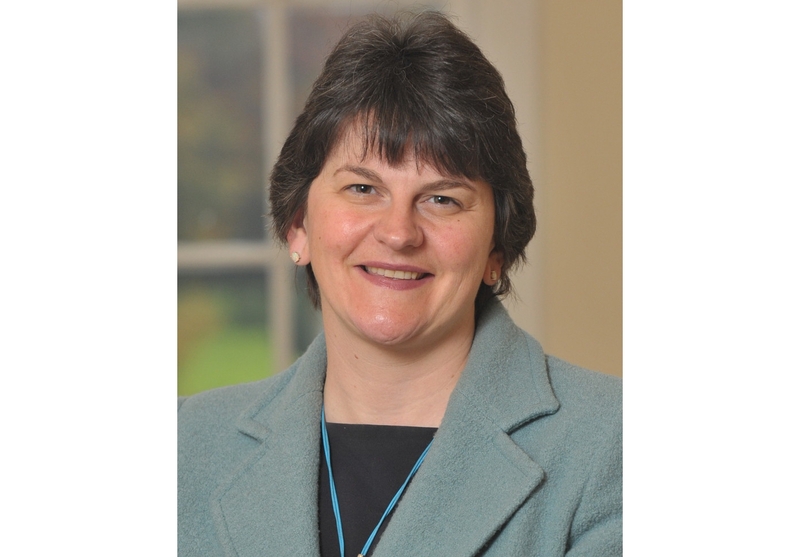 October 16th: Enterprise Minister Arlene Foster has welcomed Bombardier’s announcement that the assembly of the test airframe for Bombardier CSeries aircraft is well under way. October 10th: CME Group's technology centre was officially opened by First Minister Peter Robinson and Deputy First Minister Martin McGuinness. CEM will employ 100 people at the state of the art facility in Belfast. September 29th: Capita, with a 336 job expansion by its life and pensions division at its centre in north Belfast, and PricewaterhouseCoopers, with a 247 job expansion in a centre of excellence are adding 577 job positions to the city's financial services sector. September 29th: PricewaterhouseCoopers will expand their Belfast operation, creating a further 247 high quality consulting jobs, developing a key centre of excellence within the PwC UK network. 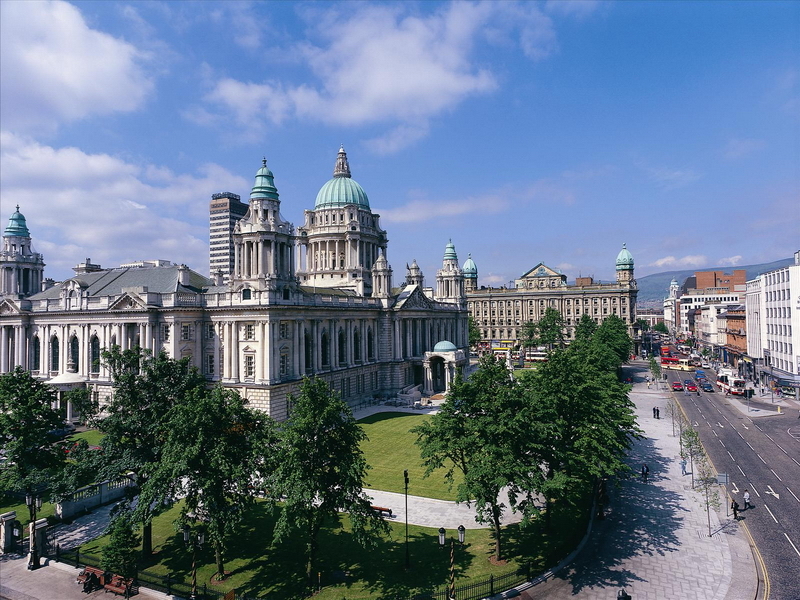 'The investment will see the global consulting and advisory firm increase exports from Northern Ireland by developing three centres of excellence at its Waterfront Plaza headquarters in Belfast. The largest of these will be a technology centre of excellence, alongside a capability and training centre of excellence and an international survey unit.' said Invest NI. September 28th: Newry-based capital markets consultancy First Derivatives PLC has acquired three London businesses: Redshift Horizons Ltd, which provides design capability for real-time electronic trading; Cowrie Financial Ltd, a provider of application and consulting services for the implementation of trading systems and platforms; and Redshift Horizons LLP, an investment management partnership. July 27th: The research includes a review of Northern Ireland’s competitiveness for inward investment in key sectors, an assessment of the potential impact of a 12.5 p.c. rate of Corporation Tax and a mapping of the current research base that can be used to attract FDI. Innotribe, the innovation division of SWIFT, held its EMEA Start-up Challenge and Conference at Titanic House Belfast on the 13th and 14th of June. A new Operational Centre of Excellence (OCE) is being created in Belfast by Augentius which is expected to employ 164 staff by the end of 2014. May 16th: Augentius provides outsourced fund administration services to the private equity and real estate sectors. The company was established in London and Guernsey 10 years ago. Since then, it has expanded internationally and now has offices in New York, Luxembourg, Mauritius, Singapore and The Netherlands. Funds services firm opens Belfast office, servicing UK-based funds, particularly in private equity and property.